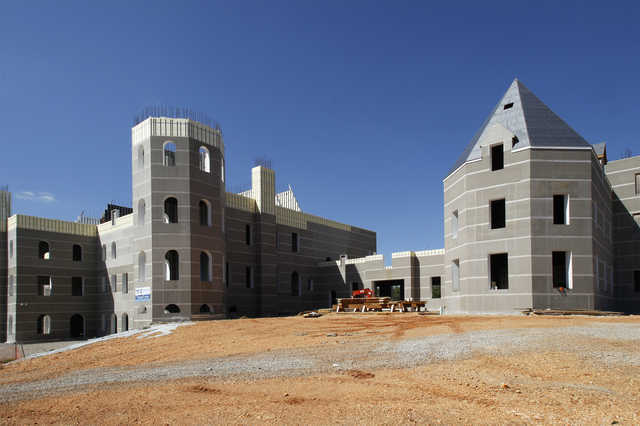 Wanted to give you some details on the Castle being built South of Springfield MO off of Hwy 65 about half way between Springfield and Branson. It is indeed 70,000 plus sq ft, with it's own energy and water systems, geothermal, solar and generators. The property is in the middle of the Ozarks so well water is perfect. All the glass in the house is ballistic, with a 30,000sqft basement with air purification system. The house is being built by two brothers, the CFO and COO of a company called Overwatch based out of McLean VA. Thought I would pass this link about Pensmore Castle.